By Karim Babay, CEO, HealthSapiens. One of the primary problems existing in healthcare is the many barriers to access and delivery of care and treatment. Access to healthcare is centralized to a limited number of intermediary players in a way that is costly, non-transparent, and inefficient. It forces all of us to settle on whatever is given based on our locale and socioeconomic status, without having any real voice. Access to care impacts patient’s physical, social, and mental well-being, as well as their overall quality of life. According to the Office of Disease Prevention and Health Promotion, people with a reliable source of care should have better health outcomes, fewer disparities, and lower costs. Yet according to the National Association of Community Health Centers, approximately 62 million individuals in the United States have limited or no access to primary care physicians as a result of shortages. This number is widely expected to increase over the next several years as our population grows older. With an absence of convenient access to primary care physicians, patients turn to alternatives like emergency rooms, urgent care clinics, or choose to not seek care at all. All three options are more costly to the healthcare system than providing access to appropriate physicians. In America, there is one medical doctor for every 434 people. It is important to note that physicians are not dispersed evenly throughout the country. Cuba, a country that has heavily emphasized medicine, has about six doctors for every 1,000 citizens. Conversely, in much of developing Africa, there is less than one healthcare practitioner (not necessarily a doctor) for every 1,000 people. India has fewer than one doctor for each 1,000 person. Guest post by Christina Richards, vice president, AOptix. In recent years, the healthcare industry has experienced a Renaissance of sorts with the development and adoption of mobile and connected technologies. As a result, healthcare facilities the world over are increasingly making use of smart technologies to drive better patient outcomes, track equipment, and support overall operations. In addition, the developing practice of telemedicine is becoming increasingly commonplace for doctors in healthcare settings across the United States, which is raising new concerns about the infrastructure needed to support these real-time doctor-patient experiences. Although the development of these digital technologies for healthcare applications is only in its infancy, we are already beginning to see their wide range of benefits, including the potential to help organizations achieve the Institute for Healthcare Improvement’s (IHI) Triple Aim of bettering the patient experience, improving population health standings and reducing the cost of healthcare. For instance, a 2014 study by Dale H. Yamamoto of Red Quill Consulting, Inc. found that that the average estimated cost of a telehealth patient consultation was $40 to $50 per visit, compared to the average estimated cost of $136 to $176 for in-person acute care. With the widespread adoption of any new technology however, there is a learning curve to ensure that they can be effectively integrated into existing operations to capture the greatest benefit without compromising the level of care. But what does this entail? 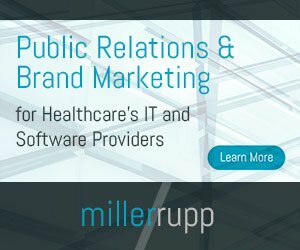 As healthcare facilities become more connected through the Internet of Things, adoption will continue across a broad spectrum of devices and sensors—from wearable tech that monitors patient location and vital signs to analytics platforms that track staff movements and create more efficient workflows. While these devices span a variety of applications, they all share a universal purpose, which is the constant collection and analysis of data. Likewise, video conferencing and other mobile approaches to telehealth are highly data-intensive, requiring the transmission and processing of large amounts of information. As a result, many healthcare administrators have encountered the need for far more robust mobile networks in their facilities to support the massive amounts of data traveling across their systems. In considering other data requirements on the horizon, take the case of rapid genomic sequencing. While the new technology allows researchers to quickly determine the complete DNA sequence of an organism to predict disease susceptibility and drug response, the process requires the transfer of massive amounts of data. To make this information more widely accessible, one company, NantHealth, is looking into a method of compressing the data into a more manageable size so it can be shared with other facilities through high-capacity wireless connections, rather than strictly relying on fiber. With ever-growing levels of data becoming necessary in the healthcare system, new technologies and methods for managing it across various networks will become even more important.